How To Find Dropship Suppliers? Dropshipping is fast becoming the default product supply method for Ecommerce retailers of all sizes. Dropshipping for those new to the term, allows the retailer to advertise and sell products they don't hold in stock. Then when a retail product sells the retailer orders the same goods from the "Dropship Supplier" and the dropship supplier ships out the product to the retailer's customer. [box] In business spiel, according to Wikipedia "Drop shipping is a method of supply chain management where the retailer does not keep any inventory. 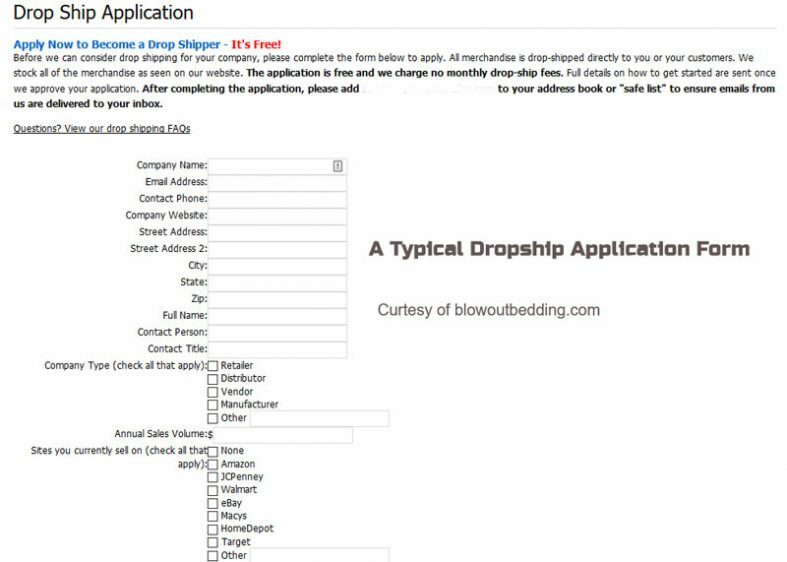 Finding suppliers can be quite a daunting task, especially for those new to the dropship business model. It's not only about finding a supplier of your product, but finding one you can rely on, a supplier which you can create a long lasting and profitable partnership with. In this post I will help you in your quest to find the right dropship suppliers for your business. I'll explain the different types of suppliers who dropship, what to look for and the best way to evaluate them so as to select the best for your business. What Is A Dropshipping Company? There are several types of dropshipping companies in this market and it can sometimes be tricky to distinguish one from another. The Manufacturer: Is the one who makes the product. The Manufacturers Distributor: AKA Distributor, Is the one which has been approved or licensed (by the manufacturer) to buy in bulk from the manufacturer and then resells these goods to wholesalers. 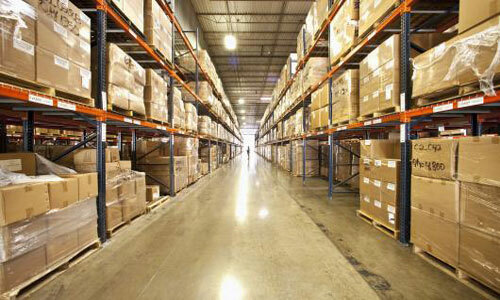 The Wholesaler: Is the one who buys in bulk direct from the manufacturer or the manufacturer's distributor. The Dropshipper: Is the one who sells wholesale goods and ships them direct to the retail customer. These can be classed as typical "dropshipping companies" although the companies will not see themselves as a dropship company but as a wholesaler or distributor which dropships goods for some of their customers. This can include, manufacturers, although not many manufacturers currently dropship. The vast majority of drop shippers will be wholesalers and slightly less in numbers; distributors will also dropship for you. The Dropship Market Place: This is where someone has brought together a group of wholesalers to offer their products to retailers all under one roof or should I say one website. Think of it like Amazon for wholesalers! You have a large group of wholesalers offering products available to dropship via an online marketplace. This means there is a fair bit of overlap between the parties. But bear in mind NOT all wholesalers, distributors and manufacturers will dropship for you despite the popularity of this business model. This can be for a number or reasons, it's been said by many that wholesalers are somewhat old fashioned and afraid of the changes to their business. Distributors will often look to sell in very large bulk deals and for this reason many will not dropship, although some will, but they are harder to find. In the drop ship supply chain, there can be several players (manufacturer, wholesaler, distributor and marketplace) or more, hence the need to understand how it works. The more the distributors, wholesalers and dropshipping suppliers between you and the manufacturer, the higher the prices are going to be and the thinner your margins will be. You may hear on the internet that there are plenty of manufacturer dropshippers. This is not quite true. Whilst yes there may be some manufacturers willing to dropship for you, the reality is most won't. Manufacturers want to concentrate on making stuff not selling. The few I've seen have been in the dropship marketplaces. Most of them sell in bulk at wholesale prices so that they do not have to work with so many businesses or individual customers. We are constantly looking for manufacturers who dropship because that's where you're going to find the best prices to buy at. If you know of any manufacturers who also dropship, click the link above and let us know about it. As mentioned earlier these suppliers buy in bulk from the manufacturer, the manufacturers distributor or other wholesaler suppliers; they then sell to the retailer at a higher price. These are the typical dropship suppliers and the majority of whom you'll working with. They deliver to your customer after doing all the order processing based on information received from you. When Is A Dropshipper Not A Dropshipper? You have to be careful out there. There are some wholesalers who offer dropshipping but also sell items retail themselves. I feel this is wrong and would advise you not to deal with companies which operate in this manner. Why Does It Matter If They Also Have Retail Sales. Lets imagine you purchased an item for say $5 from the wholesaler, with the view to selling that product for $10, and double your money. That sounds great, you can double your money, but the wholesaler also retails the same item at $6. He can do that because he only paid $3 from the manufacturer so effectively doubling his money just like you. But who will sell the most, you at $5 or the wholesaler (retailing) at $6. You can see there is a clear conflict of interests when dealing with wholesalers who also retail goods to the public. In some case they may even raise the wholesale price on popular/best sellers just to price you out of the market where they can earn more selling retail; it is better you avoid such suppliers wherever possible. The majority of traditional wholesale suppliers will require you to fill in an application form and create an account with them, before you can start buying. This can be a bit of a pain, I know a lot of people dislike these applications but, if you stick with it and work through the form you should be OK. Be prepared for some rejection though. Some suppliers will ask you things like your current sales figures or how you are going to be selling the goods. The suppliers who ask these types of questions are looking to find existing businesses with a track record of sales. Don't let this put you off, let them know about your marketing plans or the number of subscribers / followers you have and if you are an influencer or not. These all help to sing things in your favour. Generally though you will find most are willing to sign up new customers like yourself. When filling in your first application it's a good idea to save all the details you provided in a spreadsheet. With this info ready to hand it's much quicker and easier to fill in your next wholesale application. In many cases their websites will appear outdated, but things are getting better now and a lot of traditional wholesalers are updating their websites and systems to join the dropshipping revolution. Since they don’t sell to the general public, their prices won't be published on their site. Some don't even have an online catalog to view the products, but thankfully this is not as frequent as it used to be, back in the day. They will usually want you to create an account with them first before they give you access to the wholesale prices. They will also inform you of all the delivery prices and schedules. As mentioned earlier please be wary of wholesalers who have retail prices on their site. They are both the same thing and are simply wholesalers who dropship. They use the terminology of straight or blind to emphasise to the retailer that they take dropshipping seriously. They are effectively saying we are "blind" in the customer's eyes because, they make sure that the end user (your customer) never has any contact the wholesaler and the wholesaler will not put their name on any of the packaging or invoices. Therefore the customer thinks the goods are direct from you, the retailer. This is exactly the same as blind where the supplier will make every attempt to hide their identity from your customers who they drop ship to. They ship "straight" to your customer. Some dropship suppliers like to take advantage of this to market their companies since the retailer wants the wholesaler to stay in the background. The main issue with the dropshipping model is that in the case of a warranty issue or product quality or functionality issue, the customer will contact you directly to handle the case. I'll discuss this more in my next article. How To Find A Wholesale Dropshipping Supplier? For your business to succeed, you need to create relationships with several suppliers of the products you want to sell. These can be suppliers from the UK, European Dropshippers, Chinese Dropshippers or Dropshippers from US depending on your market and the location of the suppliers. In fact because of the flexibility of this business model your suppliers could be located anywhere, even the Philippines have dropship suppliers! Once you are sure of the brand or product you want to sell to your customers, you can directly make contacts with the manufacturer. This is the best and most profitable way since you will have cut off the middlemen in the supply chain. If the manufacturer does not do drop shipping, ask them if they can recommend one of their authorized distributors who will dropship for you. Read your industry's trade magazines. More often than not reading trade magazines will get you dropship suppliers that will serve your needs. It is common for manufacturers and wholesalers to advertise in such magazines. This way, you are sure to get the right contact information for new business relationships. Some of these magazines can be found free on the internet, simple search Google or Bing for "(Industry) Trade Magazine"
Search extensively: This may involve a little work, but it's the best way to get a wide range of European, Chinese or American dropship suppliers quickly. In most cases your answers will not be on the first or second Google page since they don't optimize their websites for search engines like most modern websites do. Search deep into Google, even to the 20th page, you will eventually find what you are looking for. Modify the search terms: Use a variety of keywords like "wholesale dropshipper", "drop shipper", "wholesale dropship", and "wholesale supplier" among other search phrases for a successful search. Add extra terms to the above like; "warehouse", "reseller", "distributor", or "(city name)". Brand name wholesale suppliers should be a little easier to find. According to nchannel wholesale drop shippers are known for their outdated websites which make your search even more difficult.Just because the site looks a bit old or simply not very modern don't give up. Find the contact details and send them a quick email asking if they would dropship products for you. Even though finding a supplier/wholesaler directory online is pretty easy, most of the free ones can sometimes be of low-quality with not so many listings. We aim to change that with our own free directory. You can browse our own FREE Dropship Suppliers Directory ... we are adding more suppliers daily, so please come back and check again soon. The paid, either yearly or monthly online dropship directories will provide you with detailed profiles of thousands of suppliers, manufacturers, and wholesalers for you to choose from. Prices vary from as low as $49 per year to $67 a month or more. Generally you get what you pay for, but bear in mind that once you've found a few good suppliers you'll no longer need the directory. The information you end up with has been well researched and trial-and-error taken out to make your life simpler.These are a great starting point. If you are new to the business of drop shipping, it is wise to get references from other people who have used particular dropship suppliers. Join dropship forums or dropship groups on Facebook and start networking, reaching out to other small business owners. Ask them who they use or recommend, it's really that simple.Many of the people in these groups are very helpful and will point you in the right direction. At trade shows, you will get time to interact with manufacturers, wholesalers and all the relevant players in your industry. You can research on the products that interest you and make relevant contacts that will benefit your business in the long term. If you have the money to attend the trade show, you will get to know your manufacturers and suppliers better. To get a lot of Chinese dropshippers in one place, visit aliexpress.com or Alibaba.com for bulk purchases and you will find wholesalers in the thousands. Most of whom have been verified in some way.Amazon retails other people’s products and can list thousands of products that are drop shipped by suppliers from all over the world. This is another great starting point to getting your desired manufacturer or distributor dropship supplier. If you see a hot selling product you like, then you can find the seller/wholesaler from the details on the page. Amazon has a mine of information on their product pages.Chat with the selected suppliers and ask questions about their terms and if they can dropship for you. This won't help you to find a dropship supplier but will help you to decide between a number of suppliers as to who would be a best fit for your business. You can make small orders from different manufacturer dropshippers or wholesale dropshippers then compare their reliability, quality, pricing and delivery efficiency. Always start small and let them build the trust step by step. Different suppliers can list the same product at different prices making you wonder if one is of a lower quality or not. This may be the case but the higher prices by one supplier may be to cover their efficiency, warranty and prompt customer service. These are all good things to have, but only you can decide if it's worth paying extra for based on your trial orders. There are other places you can compare dropship suppliers such as Alibaba, eBay, Everbuying and Salehoo all of which have excellent systems to help manage your account for efficient drop shipping. They all have a list of dropshippers manufacturers and wholesalers for you to check out when searching for a reliable and relevant supplier for your business. Make cold calls, visit local wholesalers and speak with them personally. Often the personal touch works best, it can lead you to the right person or manufacturer. You need to set up a legitimate business if you are in the US, an EIN number is a must in addition to the registered business. According to ecommercefuel , In the United States, legitimate drop shippers won’t work with you unless you have a legal business established and have an EIN, or an Employer Identification Number. You can think of an EIN number as a social security number for your business. Depending on if your state charges sales tax, you’ll also need a sales tax ID from your state. In the U.S., creating a legal business structure isn’t nearly as complicate as you think, and can often be done in an hour or two on your State Dept. of Commerce website, or a site like Legal Zoom. Often, incorporating your business will cost less than $200. Once you have an official company established with your state, requesting an EIN number from the IRS is an easy process. However, it’s very important that you spend the time to properly research which corporate structure is best for you. You will want to research this extensively, and if you’re unsure, we recommend consulting with a professional such as an attorney or accountant. Stay away from the suppliers/wholesalers who charge an ongoing fee. Ongoing fees are a clear sign that something is wrong. If a wholesaler sells a product and makes a profit then why do they need ongoing fees. Yes sometimes their margins are very, very small and may have to charge a small fee on some small orders. But if they are charging you a monthly fee just to be a customer then I suggest you find another supplier. Those that charge a fair initial setup fee or pre-order payment are legitimate to discourage non-retailers. As always if you are serious about your business make contact and speak with your supplier for better deals. Always consider the location of your supplier, if most of your customers are in the US and the products are available in the US then consider suppliers from the US and European dropship suppliers if your customers are within the Eurozone. This will make your shipping logistics easier to make delivery period shorter. Test for the reliability of the supplier by placing a low-value order. This is the best way to test their reliability, product quality, trustworthiness and efficiency in delivery. Give priority to the suppliers who understand and use technology in their processing and general supply chain management. Ensure they have a competent and highly responsive support team to address customer issue whenever you have any. You can usually tell what the support is like when you first make contact, if it takes them to 5 days to get back to you then that can be a clear signal that they may not be the one for you. On the marketplace sites like aliexpress look to do business with Chinese dropship suppliers who have a 95% positive feedback from past clients. There are so many Chinese suppliers out there and it's so hard to tell the good from the bad. Read all the feedback available to you, the best suppliers will soon start to stand out. The main benefit to running a business with the dropship model is its easy to start up and run without large capital-intensive investment. You have the option to offer thousands of products to your customers, something you could never do as a small start up. It offers great flexibility to the retailer, you can choose from products all over the world to serve your customers. Never has there been a better time to start a dropshipping business.